Ebola screeners wanted at JFK @ $19 an hour. Will you be applying? 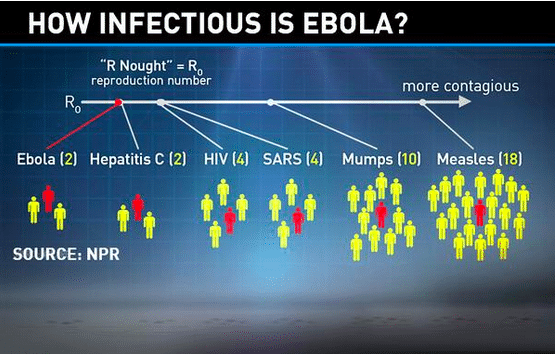 Is $19 an hour a fair rate to work as an Ebola screener at JFK? How much is your life worth to you? That it is the question the nypost seems to be asking this Saturday morning pursuant to an article which tells of JFK’s plans to bring on staffers to handle the screening process of potential Ebola carriers from hotspot nations within Africa. Reports the nypost: For a measly $19 an hour, a government contractor is offering applicants the opportunity to get up close and personal with potential Ebola patients at JFK Airport — including taking their temperatures. 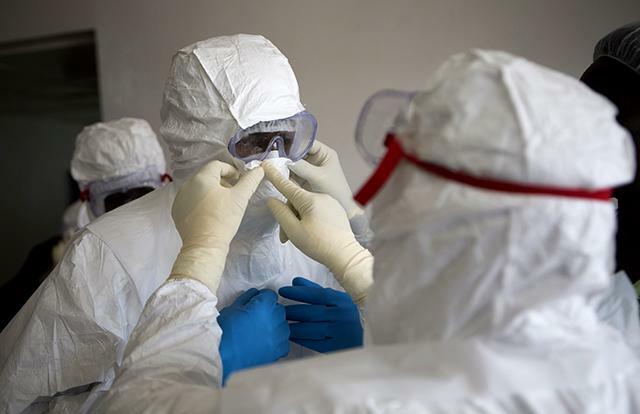 Angel Staffing Inc. is hiring brave souls with basic EMT or paramedic training to assist Customs and Border Protection officers and the Centers for Disease Control and Prevention in identifying possible victims at Terminal 4, where amped-up Ebola screening started on Saturday. EMTs will earn just $19 an hour, while paramedics will pocket $29. Everyone must be registered with the National Registry of Emergency Medical Technicians. 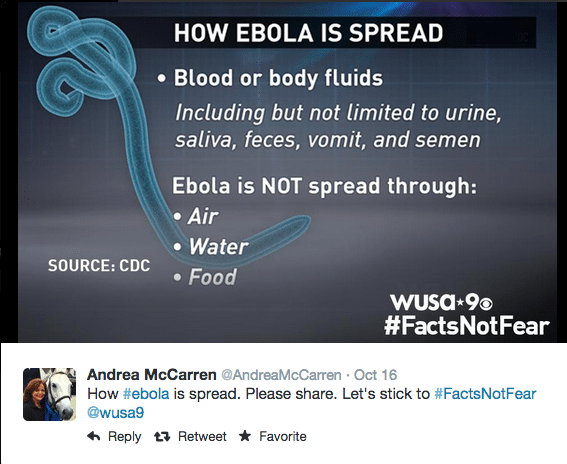 Ebola is nothing to freak out explains Shephard Smith of Fox. In today’s economy, depending on one’s skill set and supply and the demand for such skills, $19 an hour is hardly work to scoff at, then again there is a degree of danger, no matter how remote which ought to auger a risk premium being priced into the wage. That said perhaps one could say that there are plenty of jobs out there which carry some degree of risk (if not more) including that of ambulance drivers, fire fighters, police officers, sky scraper cleaners, you get the drift. Of course the question is how remote is the chance of someone who takes on the perfunctory gig of taking someone’s temperature (with no physical human contact) that they too will catch the Ebola virus? Then again that might be a function of how remote is the chance of a flyer with the disease being allowed to board a plane in the first place and then making it over to the US. And of course there’s the other question of how remote is the chance that an airline would fail to notify airport staff and emergency services of a potential flight risk before being allowed to nonchalantly proceed through customs? The job itself will involve handlers assigning questions to travelers from Sierra Leone, Guinea and Liberia (estimated to be at roughly 150 individuals a day arriving in the US, which means 40-50 at JFK alone) along with overseeing the new arrivals in having their temperatures taken as a precaution. Again one can only catch ebola as long as an individual is exhibiting symptoms and if such an individual were exhibiting symptoms it’s hardly likely that they would be allowed to be waddling down a customs line alongside hundreds of other passengers in the first place let alone past the ‘poor screener’ who has to contend with the ‘paltry salary’ of $19. Then again perhaps the above could also be a metaphor for so many other plausible diseases and viruses that one can actually catch airborne (which Ebola hasn’t been proven to do) including the flu which Fox‘s Shephard Smith reminded us all the other day is bound to kill 30K people alone in the US this year. Bet you didn’t read a panic maniacal article about that from the nypost this morning did you? I work in a hospital lab…where blood and other specimens are brought to be tested. If an ER patient comes in with vomiting and diarrhea, they will bring tubes of blood for me to do various routine testing on. Then, they may realize he has Ebola. I don’t make quite $19/hour. Close, but not quite. This is what the National Guard is for! The National Guard is not supposed to be federalized and sent to West Africa, it’s supposed to be called-up and sent to their local airports to keep the people in their states safe. We’re spending too much money sending troops to Africa and not enough keeping potentially infected people out – the National Guard could do it. Just give them the mission.